This quick and easy hike is great for families who want to get out, see some scenery and burn off a little energy. 4 miles roundtrip if you park at the bottom of the hill. The rounded contour of Spirit, or Cedar Mountain hides a treasure deep within its heart. Over time, the limestone rock has been eroded away by sulfuric acid, creating an expansive cavern system. Although the caves don’t sport the spectacular stalactites and stalagmites of other caves they do have delicate, flower-like crystals on the walls. In 1909, enthusiastic citizens of Cody were able to have the caverns designated a national monument. However, due to inaccessibility as well as lack of interest and funding, the caverns were struck from the list in 1954 and are now owned by the Bureau of Land Management. The cavern system has never been fully explored and mapped but experts believe they might be some of the deepest caves in the United States. You can’t enter the cavern without a key and permit from the BLM, but it’s a fun place to spend some time exploring. 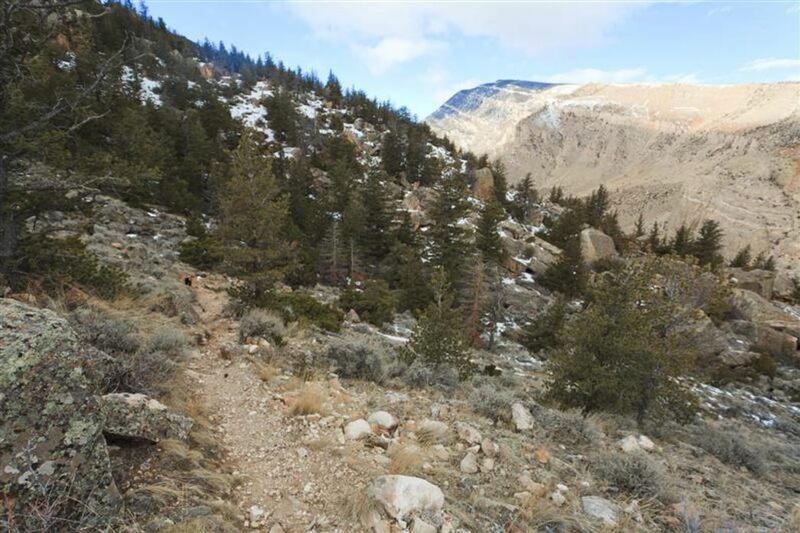 Cedar/Spirit Mountain is within 15 minutes of downtown Cody and offers all sorts of recreational opportunities. The mountain is crisscrossed with hiking and horseback trails, plus there are rock climbing and boulders spots as well. You’ll see mountain bikers, birders and dog walkers. If you want a serious workout, park at the bottom of the road and walk up. The first two miles are deceptively steep. If you chose to drive up you can park at any of the pullouts and spend time wandering around the mountain. The large boulders strewn across the slope make great climbing for kids. 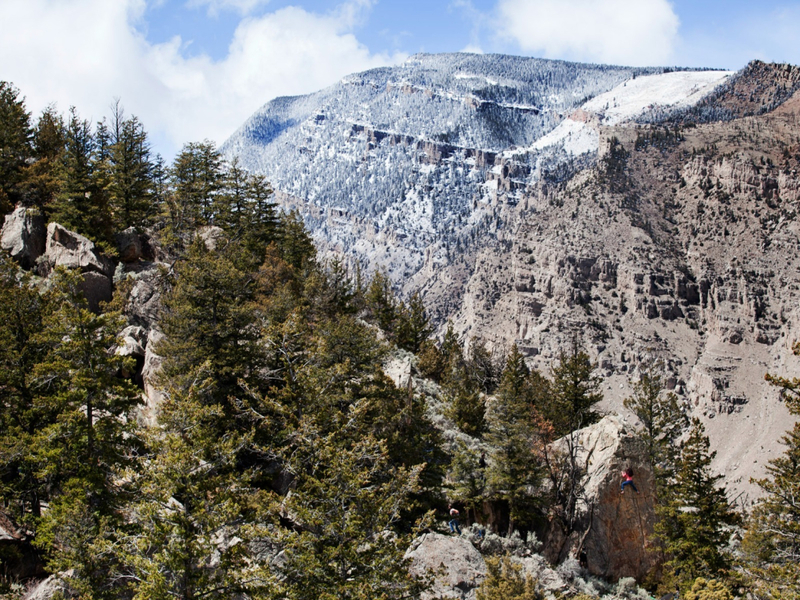 The trail to the cavern entrance is a flat, quick walk through limber pine and juniper. Mountain bluebirds frequent the area and you’ll see Indian paintbrush (Wyoming state flower) as well. Be advised the actual opening to the cave is gated and locked. Cedar Mountain is a great place to spend a few hours just wandering around. It’s hard to get lost because you can see the town of Cody from nearly every vantage point along the road and the eastern side of the mountain. The trails are wide and the trees don’t impede the views. Kids will enjoy the chance to run amok here, climbing on rocks and jumping over logs. Bring some water, snacks and binoculars to while away the time, taking in the views. From Cody take US Hwy 14/16/20 west for 3.9 miles. Turn left onto the gravel/dirt road near the trail riding corrals. Take the gravel road for another 6.7 miles to a small parking area on the right. The road is generally well maintained but can be rocky and rutted if there’s been rain. Watch for hikers, dogs, mountain bikers, horses and other cars. There are no fees and leashed dogs are permitted. There are no water or restroom facilities on the mountain. Cedar Mountain is a great place to spend a few hours just wandering around. It’s hard to get lost because you can see the town of Cody from nearly every vantage point along the road and the eastern side of the mountain. The trails are wide and the trees don’t impede the views. Kids will enjoy the chance to run amok here, climbing on rocks and jumping over logs. Bring some water, snacks and binoculars to while away the time, taking in the views.